You know how it happens sometimes. and then finds itself coming home with you. but I don't really know exactly what it is that I will end up being inspired by. we bumped into something with a little copper charm. but oh that gorgeous copper glow. but this one was just right. that was found in a thrift store years ago. but I also just love that glow that it has when it's polished. 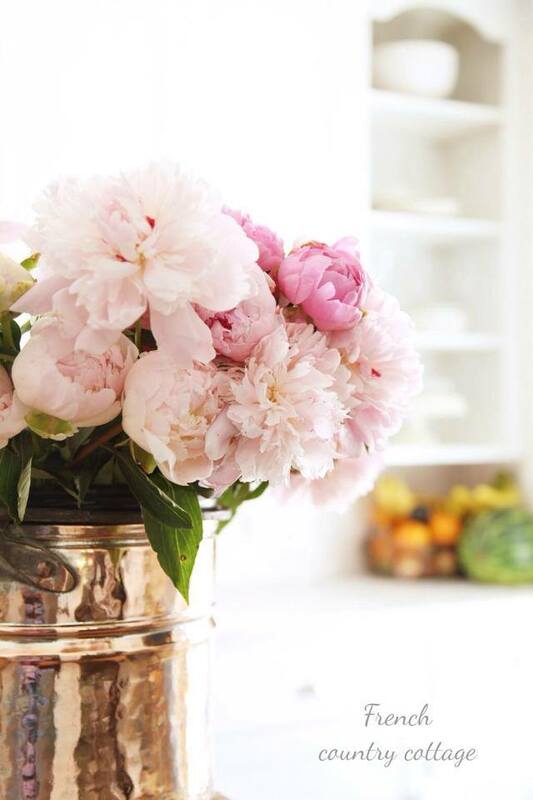 maybe canisters or a jar filled with copper utensils is perfect. 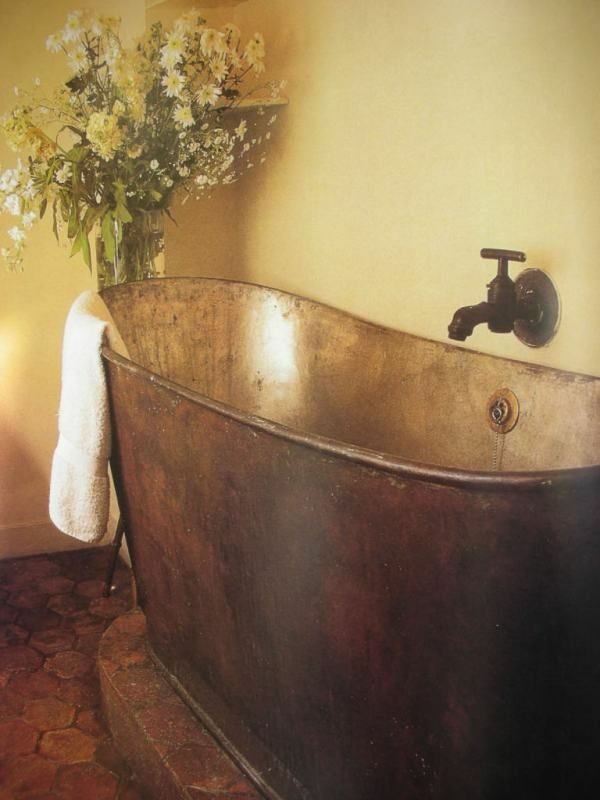 like a beautiful sink or a bathtub with a perfect patina. 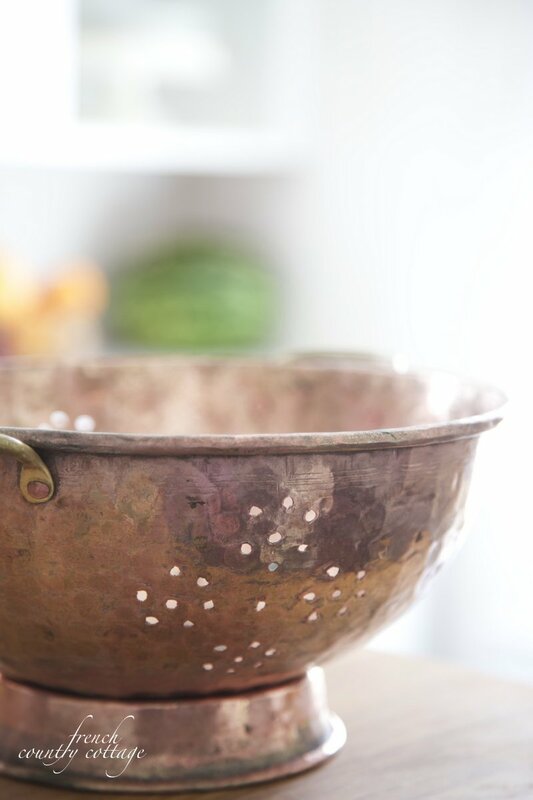 Love hammered copper sinks- so pretty. and that rich, warm patina it has. Love this post, Courtney! I have an obsession with copper! 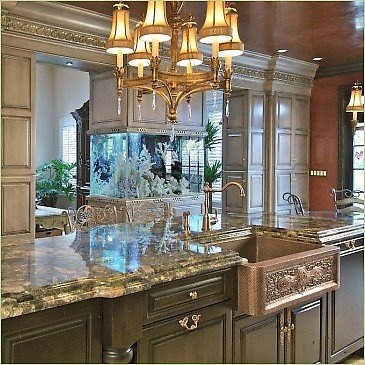 I have a collection of pots and utensils hanging on my pot rack, over the cooktop. I polish them up; and then, I let them age again. 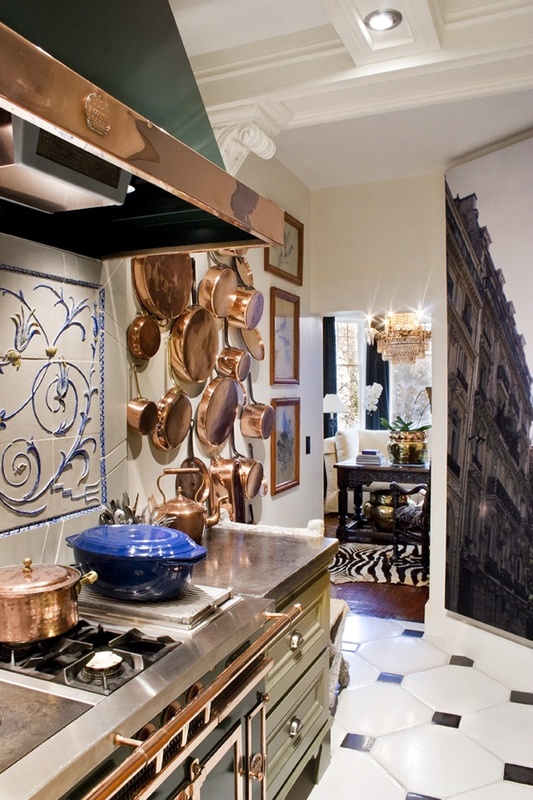 Love copper both ways! Courtney, love it! Must be something in the air... 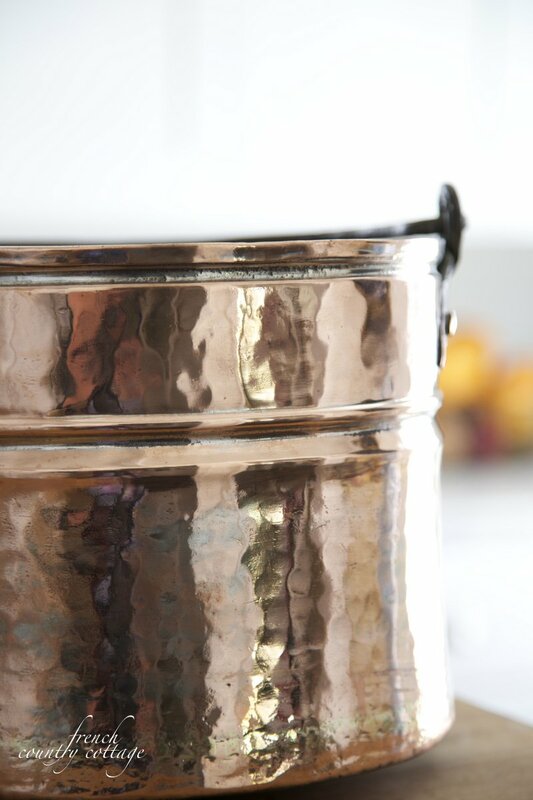 I've been spotting little copper pots at the thrift store lately and have picked up a couple for really reasonable prices (read 'cheap'!) Using them around the house in various ways and loving the warm glow!! I have been seeing it more often in thrift stores too- sounds like you got some great pieces. Yes I like copper again in this time in my life. 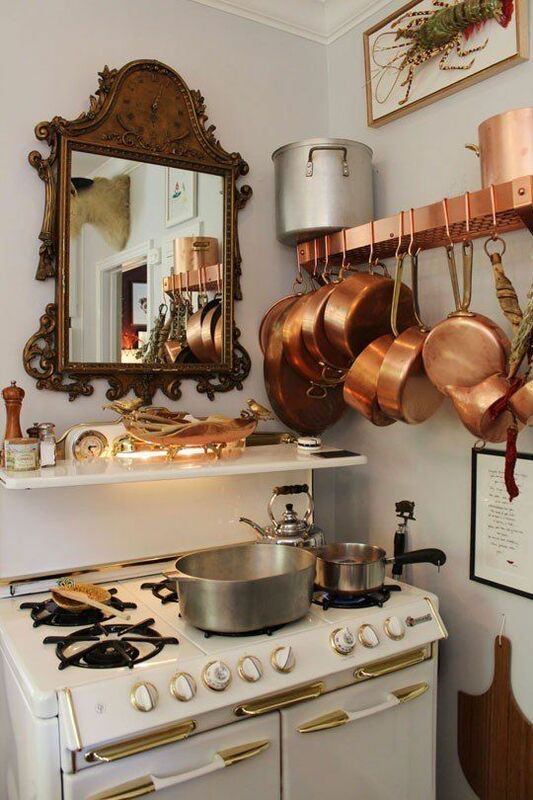 I bought new pan at Williams Sonoma the ruffoni pan in hammered silver and now I think I would have been happy with pretty copper pans. Thanks! I am loving it too- it has a sweet charm to it. Courtney, this post is fabulous. 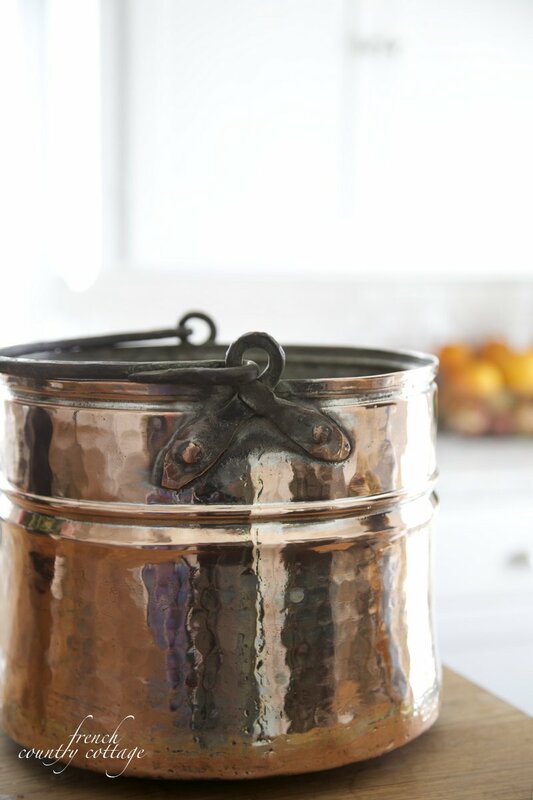 I adore copper and you scored with this pot.. How utterly charming in any kitchen decor especially french. What a great find. Love it. When we got engaged the in laws gave us a beautiful family crest made from copper to start our collection. Definitely something worth putting time and money into. I love copper pieces. 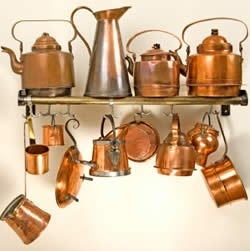 My grandmother had several copper molds hanging in her kitchen that I always loved. 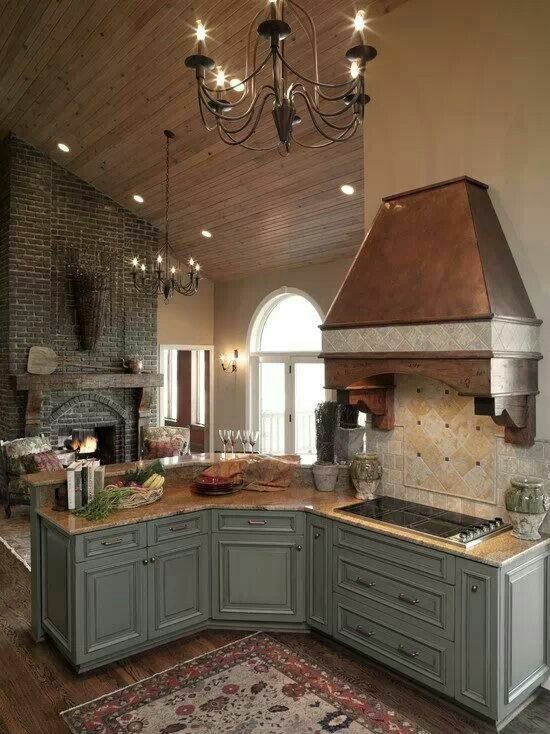 Cannot believe that you found that beauty at HomeGoods...I will have to be on the lookout for one...I love copper and recently changed my kitchen cabinetry hardware to hammered copper knobs and pulls..Yes, I see you starting another wonderful collection! 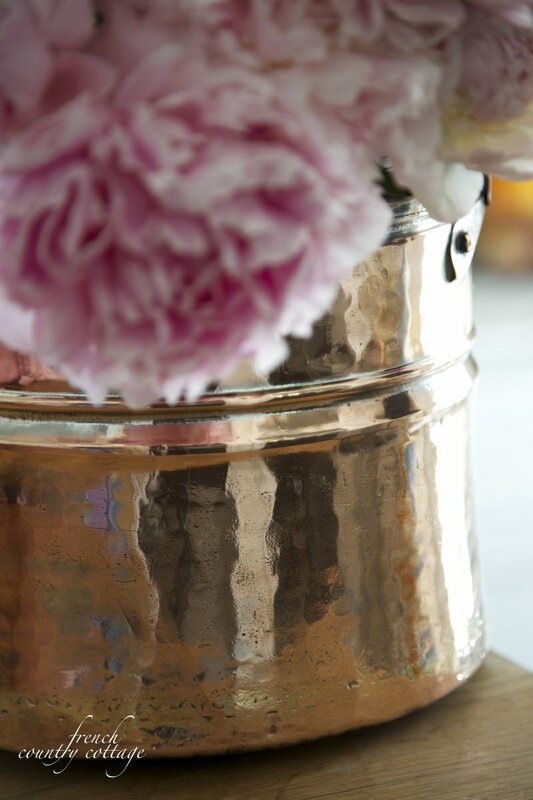 I wonder the flower name in the Copper. what kind of flower? I so love your copper find.!!! I have a snail hammer cup with cottton in at the moment, The flowers look awesome in the kettle.